Selling or renting out a property always starts with great photos. Catchy photos sell houses and apartments several times faster at the higher prices. An experienced photographer can emphasize strong sides and play down the weaker parts. We will work together on both interior and exterior and all the little details to bring the best possible results. After eight years in the industry, I know all the required techniques and approaches to photographing your property. Real estate agents, designers, architects – each client requires a tad different approach and result. With me, you’ll get the results you envisioned, and I’m always happy to walk an extra mile for the best outcome. 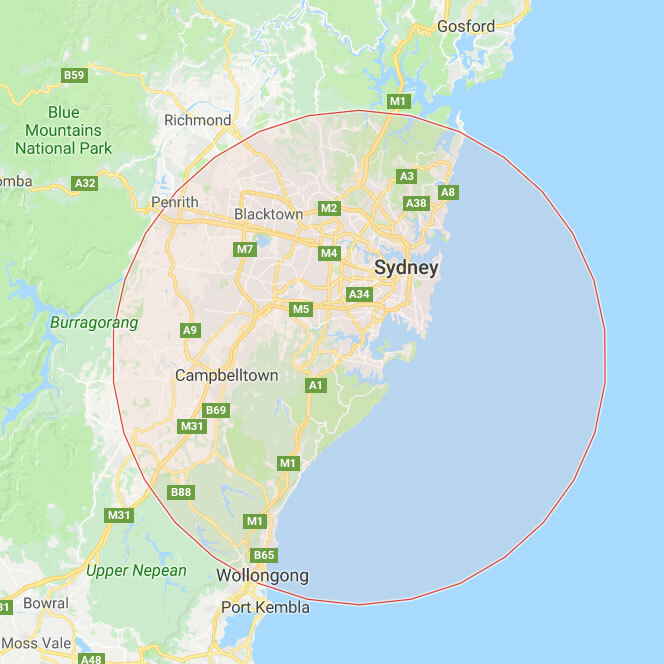 The service area includes but not limited to Blue Mountains, City, Canterbury-Bankstown, Eastern Suburbs, Forest district, Hills district, Inner West, Macarthur, Northern Beaches, Lower North Shore, Upper North Shore, Northern Suburbs, South-western Sydney, South-eastern Sydney, Southern Sydney, St George, Western Sydney, Greater Western Sydney. Interior photography is essential. In fact, it is the most prominent selling point and the main impression of the viewer. The photos done right can emphasize the strong sides of the property. An experienced photographer will know what kind of light works best, how to position all pieces of furniture, how to make an apartment look more massive or packed, airy or atmospheric. The walls look straight; the furniture find its perfect spot in the composition and all tiny hard-to-photograph areas look reasonable and ample. The exterior significance really depends on the property type. It’s way more important for the house than for the high-rise building. But in all cases, the exterior will play its role during the overall impression forming. Even an ordinary building can look prime when photographed in the excellent light and time of day. For instance, dawn and dusk photographs with the lights on add a resort-style vibe and feel. Basically, there are two photography styles when it comes to real estate photography. One of them produces airy, natural-looking and light interiors, whereas the other one looks less natural but has a stronger punch. The style of photos should be selected prior to the photography session. It is also possible to combine the techniques for the different views. The light outside usually is much stronger than the light within the property, which leads to the so-called overexposure of some parts. In simple words, the brighter parts will still look very bright or even completely white in the final photo. This type of light adds to the illusion of the light, bright and airy apartment. Also, it is a beautiful little trick to hide an unwanted view from the window. HDR stands for High Dynamic Range. As I have already said, the light outside is stronger than inside, and the camera usually is unable to capture all details in shadows and highlights. And here the HDR technology steps in to help us. For each image the photographer creates two photos, one is brighter (to have the shadows visible), and one is darker (to have highlights reasonable, not overexposed). Later on, these photos are combined in Photoshop to produce a pleasing result. The pictures are tastefully blended, and the result is not overcooked. The best time for photos during the day is when some light comes in into the windows; it improves the overall vibe and feel of the property. It creates unusual patterns on the walls and looks more welcoming. If the light never hits the windows, then any bright day is beautiful because there is still an ambient light. An overcast, rainy day is less desirable compared to the sunny day. Mainly because an exterior and the view photos could look dull and also there is no ambient filling light then. 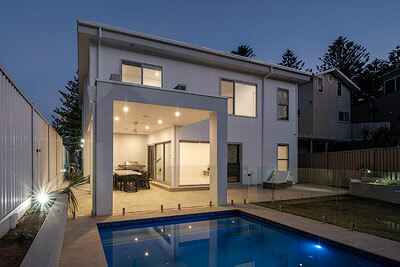 Twilight photography is a top-notch, the prime real estate photography flagship. It is top because the twilight brings the best lighting conditions for the photos. For the exterior, it’s pretty obvious – with all lights on and the colourful sky any property looks at +20% to the price. It adds a resort style and overall lux look. The problem here is that twilight last for a short time, so it requires some experience and right timing to capture your house in all its glory. In this scenario, the photographer creates interior photos just before the twilight during the so-called “golden hour”, which adds warmth and coziness to any interior. Learn more about Real Estate Photography. An owner/agent gets a free headshot in the property on the same day and time as the main photography session. Typically, in the apartment, few best spots are like a cherry on the cake. Or just some exciting details, which create some unique atmosphere. These little features deserve a special attention and are often a great addition to the portfolio. Have you seen those beautiful slideshow videos, changing photos one by one with or without a fancy transition effect? Those that zoom in or out, pan left or right, etc? I can do one for you using the photos I have created for the project. Also, I will add a title slide at the beginning, and contacts slide at the end. You can provide a music track you have bought or a creative commons track from the internet. 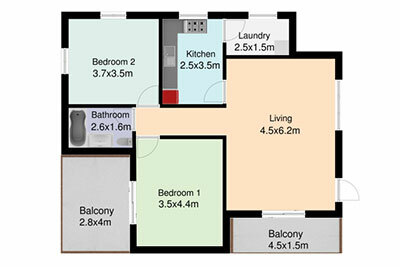 Floor Plan is another task related to your property. For some buyers and renters, it is imperative to see the plan before making any decisions. Some people tend to prefer the kitchen combined with the living room, some people like them as separate rooms. Others will only buy a house where bedrooms have no adjacent walls. Some people have some fancy features or a design in their head and need to see if it is even possible without giving away an idea. A plan can save you a lot of questions and can attract unexpected buyers. The plan can be done as 2D (black and white, colored, textured) or 3D. 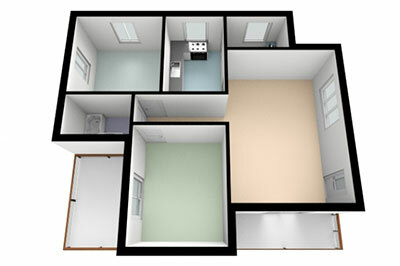 Learn more about Floor Plans. Virtual Staging is the most exciting service that fulfils your dreams and ideas. The staging is extremely helpful for the new property/apartment you own before buying new furniture. The service is available on per room basis. Virtual Staging includes call out, measurement and a room plan creation in 3D with several sets of furniture to select from. The ability to visualize the room with the desired collection of furniture allows you to make the right decision and potentially save a lot of time and money. The other useful scenario for Virtual Staging is when you sell/rent out an empty property and want to show how cozy can it potentially look like. Several designs could trigger something in the different buyers. Learn more about Virtual Staging. For pricing, please refer to the Pricing page.